book release | A. LOPEZ JR. This is my latest release and went to Amazon around Halloween in 2017. This short story of horror found its genesis in the form of a night terror. A young man, Damien Smith, came to me after having a vivid, but horrific nightmare. We collaborated to dig in and uncover the core of his nightmare and built the dark world around it. The final product is a fast-paced story where lives are changed at every twist and turn. This title is available exclusively at Amazon until early February 2018. After that, it will be available in all eBook stores and outlets. Landry Locker is a high school sophomore living in a small desert farming town in Arizona. What he wants most in life is to make it through high school, get into a good college, and attain a high-paying job. In the meantime, he’d love nothing more than to gain a friendship with his secret crush, Kat. Much sooner than he imagines, he gets his chance, but fate had something else in store. A once promising night turns grim, leading Landry and everyone he cares about into a dark and unforgiving world. His life and the lives of everyone around him are changed in one short night. This short story is dark and fast-paced and doesn’t look back until the fates of Landry and his friends, including Kat, are revealed. Even in a small town, one night can change everything in the blink of an eye. When the night gives way to dawn a shocking and painful truth is soon revealed. To find out more about what drives My Inhuman Condition, please visit the webpage. Today we are celebrating the release of the 2nd installment in the Earth 8-8-2 Saga, “Earth 8-8-2: Genesis’ Rebellion“. To celebrate this release, it’s imperative to share with you the concept of birth of the Saga. Instantly the premise of the Earth 8-8-2 Saga was born. Part Science Fiction, part Paranormal and part Dark Drama, the Earth 8-8-2 Saga encompasses the life of a being which was created to be the Savior of Earth 882’s Mankind. Traversing parallel universes, multiple earths and various lifeforms, the Earth 8-8-2 Saga tells that tale of Genesis, a being which is a hybrid of an 882 Earthling, vampire, goddess and superhuman. In the first installment, “Earth 8-8-2: The Genesis Project”, Y. Correa lays the foundation for the saga by telling the tale of Genesis’ creation. In this NEWLY RELEASED installment, “Earth 8-8-2: Genesis’ Rebellion”, Y. Correa further elaborates on Genesis’ enterprise to obtain reprisal. The beeping sound which resounded amidst the silence of the scarcely occupied room did nothing to alert anyone, for those there were already at attention. Endeavors such as these were bound to have an audience. Three sets of eyes peered into the mammoth glass, liquid filled container that housed Project Armageddon (Code Name: Experiment Eight-eight-two-dash-five-point-one); General Townsen’s, Doctor Theodor Belt’s and Acinom Zenit’s. The tank: a matrix created to nourish and sustain Project Armageddon—grow and strengthen it to its fullest capacity. Acinom pushed a button then flipped a switch on the rotundus supercomputer which covered over half the wall and the sound ceased. “Acinom,” called Doctor Belt, his voice raised, as though she were in another room, “check his pulse.” Acinom’s eyes shrank to slivers, the disdain of being yelled at pestered her. “Yes, Doctor.” Acinom reached over, pushing another button which caused a spectacle of waves and numbers to appear on the computer screen in front of them. “Normal, Doctor.” she concluded. “Good, good.” responded the happy Doctor. Before any more hoopla could transpire, General Townsen trumped the tangible glee in the room, his voice filled with animosity. “How much longer before Experiment Eight-eight-two-dash-five-point-one is activated?” the dryness in his tone leaving much to be desired. Acinom frowned then squinted; chomping at the bit to put him in his place, although that was not necessarily her place. Doctor Belt interjected, “Well Commander,” he walked towards the titanic, rectangular, transparent glass cistern which had a wide array of tubes and mechanisms affixed to it, and placed his hand on the glass, as though attempting to touch his creation. “It shouldn’t be much longer.” The gleam in Doctor Belt’s eyes was akin to a maniacal scientist basking in the glory of his creation—mad and euphoric. Doctor Belt pressed his forehead to the glass and shut his eyes, then released a long sigh of gratification. Inside the immense vessel, attached to innumerable contraptions, floated the inanimate body of being liken to an Earth 8-8-2 man, but not. General Townsen huffed his satisfaction, turned, pivoting like a soldier about to march, and left the room. For a limited time only, you get can get “Earth 8-8-2: The Genesis Project” FREE on Kindle! Normalcy, was not a word recognized by Zita. Her entire life was nothing, if not abnormal. Her family, herself, her entire existence, all of it; unnatural. Yet, to her it was nothing but the truth of her actuality. Such, was her life—making it to her normal, as she knew nothing else. Still, it was what made her whom and what she was… a hybrid! Roman; a witty, silver tongued young man with an average life. He looked forward to finishing High School and thereafter going on a missionary trip to Brazil. He knew that something special awaited him there. What he didn’t know was exactly how special it was. Fate’s endeavor is Fate’s design, and Fate’s design is unlike any humanity has ever known. Demoness Enchanted, the story of two completely different beings and the scheme which destiny has preordained for them. The Fate’s Endeavor Series, surpassing the emotional fabric of angels and demons and delving into the delicate threads which infuse Fate’s tapestry. This is not your average bowl of Alphabet Soup. Substitute the broth with Beliefs and the meatballs with tinges of Controversy. Now, attempt to take a spoonful into your mouth. Does it sting your bottom lip and the tip of your tongue? Does it feel too hot for you? Do you know this, yet want to have more? Indulge in Spaded Truths: Themes and Proclamations—a delectable mix of creative uses of the letters A-Z with social and political viewpoints from the twisted mind of Queen of Spades. This dish is engineered to provoke multitudes of reactions to reach the ultimate pinnacle: mental stimulation and satisfaction. Truth has no expiration date. A second helping of Spaded Truths has arrived in the form of Life-O-Suction. Seasoned with a rich blend of prose with poetry, this follow up explores the human condition with a simmering of stimuli that lingers long after one has reached the end. Note: Both books in the Spaded Truths collections have content which may not be suitable for those under eighteen. Also, from now until the end of 2015, the electronic version of “Themes and Proclamations” will be at a discounted price to celebrate the release of “Life-O-Suction”. 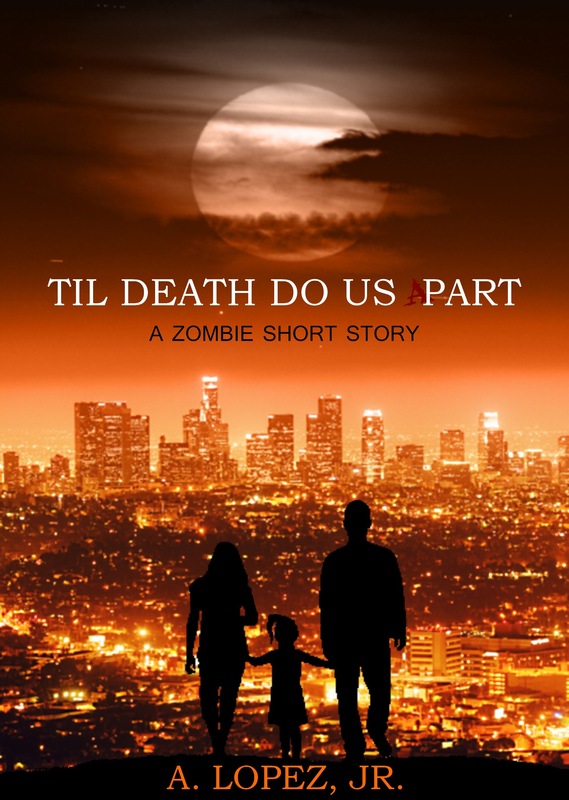 The Zombie Short Story will be released soon as part of the Concordant Vibrancy anthology. 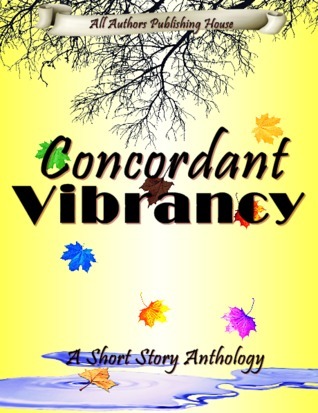 Concordant Vibrancy Anthology Book Release!